The Hyland Law Firm, LLC was established to provide excellent legal services to clients at a fair, up-front price, with no hidden costs or charges. In addition to providing excellent legal services, the firm's goal is to create relationships with its clients to ensure their success, whether they are an individual or a company. The Hyland Law Firm has the breadth of experience and business contacts to be a powerful advocate for you. Give us a call, you will be impressed. Before starting the Hyland Law Firm, Charlie Hyland practiced with Shughart Thomson & Kilroy in Kansas City, Missouri, and then with Sprint Corporation. 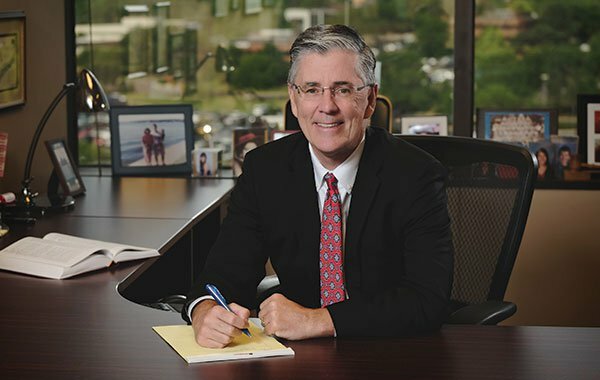 Throughout his career, Charlie has handled a wide range of matters, from personal injury litigation, to contract negotiation, business formation, and commercial litigation. Charlie has been married to Liz for more than 23 years. He and Liz have 4 children, Courtney, Andrew, Clare and Luke. When not working, Charlie enjoys coaching football and basketball, reading, travel, and walking his dog Shadow.